A storied tournament 100 years in the making, the 2016 Copa America Centenario will take place outside of South America for the first time ever this June. Big names in the sport including Neymar JR, Lionel Messi, James Rodriguez, Edinson Cavani, and Alexi Sanchez will be playing in matches across the United States. In order to honor the world's oldest tournament, Nike created a match ball mixing modern design features and throwback graphics. The black hexagonal outlining is a nod to the classic geometric design pattern used on soccer balls for decades. The bold brush strokes of crimson add some extra flavor to the ball's appearance, as well as providing a visual cue for players. 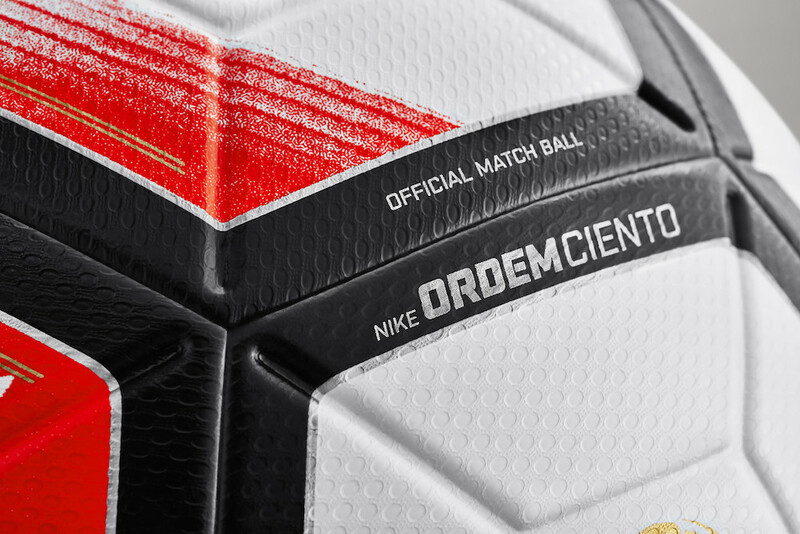 The Nike Ordem Ciento features the highest level of innovation for match play. The design of the ball focuses heavily on ensuring the consistency and accuracy of ball trajectory with 12 fuse-welded panels and a free-floating carbon latex bladder. The Aerow Trac system of grooves featured throughout the ball's panels is designed to channel air for accuracy and stability. 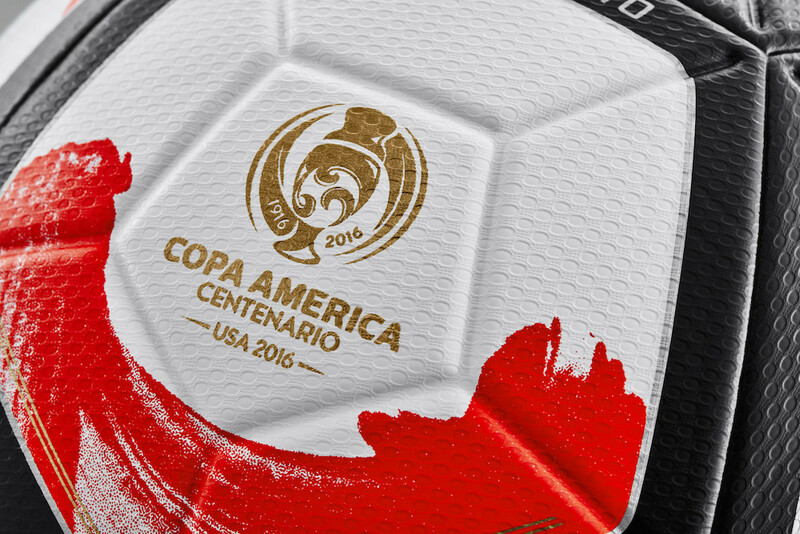 The Official Match Ball of the 2016 Copa America Centenario is available now in the Soccer Shop and retails at $160.